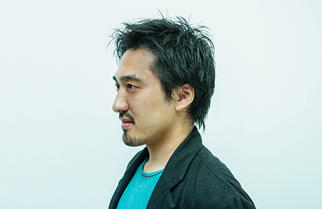 Media artist Tetsuya Mizuguchi is the creator of Rez, the innovative video game for which he was given an Honorary Mention at Prix Ars Electronica - one of the world's most prestigious prizes in media art. 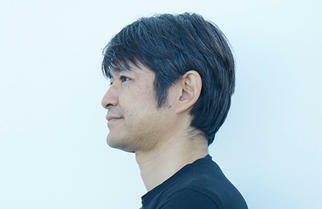 Mizuguchi works globally in the fields of music, images, and video games, creating new and breathtaking experiences. 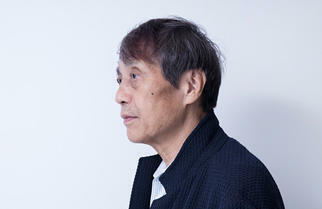 In this interview we asked him about the future of Roppongi and how we can provide new experiences for people. We should start by thinking "To whom does Roppongi belong?" And it becomes clear that Roppongi belongs to the people who live here, the people who work here, the people who come to have fun at night, and the people who come from outside of Tokyo. When we think about who cities belong to, and for whom they should be designed, we come to the conclusion that cities are essentially for the people who gather there. That is the context in which we should contemplate Roppongi. Around 20 million people from abroad visit Japan ever year. Tokyo is in fourth place in the (2015) ranking of global cities. If we really want Tokyo to be in first place, we need to think about the people from other countries who come here. We need to think about making Tokyo and Roppongi places that will be loved not only by the residents and the Japanese, but also by foreigners - places that people will want to repeatedly visit. Since I'm a game designer, I would think about how we can entertain the people who gather here. I would want to think about the kind of experiences that will make both foreign and Japanese visitors happy. The Shikoku Pilgrimage of 88 temples is probably the world's oldest example of gamification. By applying game design elements, what was originally a tough training process was turned into an experience that could be enjoyed. For example, after a pilgrim visits a certain number of temples, the calling cards he leaves at the temples is changed to a different color; the more temples he visits, the higher his status becomes. The Shikoku Pilgrimage is a well-designed framework within which people can have a positive, rewarding experience. It's almost like an invention. Today, nearly everyone has a smartphone and there is an established network, and I feel that it's about time that we applied game elements for social use. When I talk to foreigners who come to Japan, I often find out that they mostly visit the sites described in guidebooks and on social networking service. It's clear that the amount of information that is available to visitors to Japan is still very small. I myself like taking walks on the weekends, and I often go to the weekend markets or to the "depachika" (underground food floor of department stores). I stroll about and buy produce grown in all parts of Japan or I have meals at restaurants. There is a lot of greenery in the middle of Tokyo and it's really lovely. But I don't see many foreigners in the places where I take walks. At the moment, there are still many foreign visitors who just take photos at the typical tourist sites and do some shopping, but after a while, when they become more experienced, they will want to have their own personal experiences. They will start seeking untrodden paths, and it will be increasingly important to make enough information accessible to them. Walking around the Roppongi area is interesting as there are so many things to see. I personally like going from the back of Tokyo Midtown to Akasaka. I also like wandering through the shopping area of Azabu Juban. When walking in the back streets, I make all kinds of unexpected discoveries, coming across shrines or learning, for example, about how the name of a certain slope can be traced back to the history of Tokyo. There are the old things and the brand new things in Roppongi; I think people will find this area more attractive if they could experience the blend of both elements. How about thinking of a route that foreigners will want to walk? You could think of walking routes that last 30 minutes or 60 minutes and so on. It might be a good idea to team up with foreigners who appreciate Japan and make maps and signs for tourists. Perhaps you could also make augmented reality applications. At Media Ambition Tokyo 2016, I will be exhibiting the virtual reality game "Rez Infinite". It's a game where the sound effects that you make turn into music. The music connects with the visuals, and there is vibration, and you get a synesthesia experience. It is virtual reality where you can experience the images and the music in a three dimensional way. A technology art festival that gathers the latest works in art, movies, music and performances, drawing more than 100,000 visitors each year. MAT 2016 - the fourth MAT to be held - will be held at Roppongi Hills and other places in Tokyo from Feb.26 to March 21, 2016. Rez Infinite is based on Rez which I made in 2001. It was two-dimensional then and I had to fit everything to the 4:3 screen. Now it's full high-definition and wherever you look - up or down, left or right - it's a three-dimensional world without any frames. Whether it's the real world or the unreal world that can be experienced through the kind of works I make, experiences are specific to a certain time and certain place. I'm sure many kinds of experiences await us in the future. I wanted people to understand the concept of synesthesia, and that's why I made the "Synesthesia Suit" which has 26 sensors that vibrate in line with the music. When you play music in a game, you can feel ripples move from the upper and lower half of the body, replicating the sensation of a hi-hat in a drum kit. And when you hear the jangling sound of guitar strings, you feel as if your body has become the guitar strings that are being played. The music is turned into nuanced vibrations and the suit gives the player physical feedback. Since the vibrations are invisible, we covered the surface of the suit with LED lights so that people watching the suit-wearer can see which parts are vibrating. The suit is made of two layers - one is the vibrating layer and the other is the LED layer. The vibrating layer can be adjusted for different body sizes, and we're going to exhibit it at Media Ambition Tokyo's MAT LAB and let people try it on. Visitors will be able to wear the virtual reality headset, and physically feel all the different nuances of vibrations that come in line with the music. And in the background there will be the Roppongi nightscape. Roppongi and technology art go together very well, don't you think? I'm sure the event will appeal to Japanese and foreigners alike. They will think that Tokyo and Roppongi are fascinating. 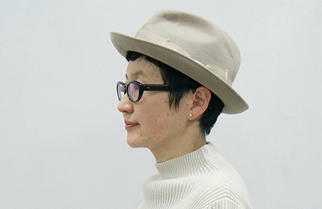 MAT LAB are the laboratory-like spaces in Tokyo for joint experimental projects by artists and companies. 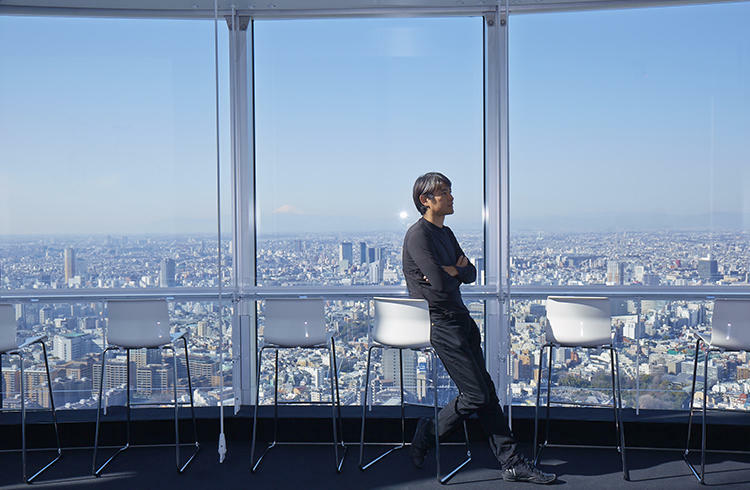 During MAT 2016, the main MAT LAB will be the 52nd floor of Roppongi Hills Mori Ark Tower where the Tokyo City View (the observation deck) is located. The "Rez Infinite-Synesthesia Suit" that was jointly made by Mizuguchi, Rhizomatiks Architecture, and Keio Media Design will be on display from Feb. 29 to March 21. After sundown, when the nightscape of Roppongi can be seen from the MAT LAB, the suit will be made available for a virtual reality experience. When creating games and music, I often start by thinking about what kind of things will engage people. For example, when I make a game, I begin by seeing in my mind a scene of a person wearing a headset, holding a controller and enjoying playing a game. I then wonder to myself what is being shown on the screen, and what kind of game it can be that would make a person so happy. Lumines is a game I created by thinking in that way - by imagining what kind of puzzle game people would find captivating. In my mind's eye I first see a scene. The main image prompts me to ask questions and analyze it. How can one get the sensation of an instrument being played? What is that pleasant feeling one gets when listening to music? I analyze the factors and then try to design an experience that has similar sensations. A puzzle video game of music and decorative lights which was first released in 2004. The series has sold around 2 million units around the world. On the screen, small blocks fall from above and the player puts together blocks of the same color to make squares before they disappear. The background music, sound effects and background image constantly change during the game. Essentially, I analyze certain experiences in order to discover people's hidden wants and then I create new experiences. Designing an experience is something that is invisible, but a designed experience can stir emotions, heighten motivation or make people move in certain ways. I think this approach can be taken when designing cities. Cities have largely been designed from the tangible perspective, but from now on, we need to take the intangible aspects into account as well. The invisible things are vital for envisioning future cities and future experiences. Among the invisible things are the Internet and digital networks. At the moment, the focus is on smart phones, but there will probably be increasing development in areas such as augmented reality (AR) and mixed reality (MR). I think it's about time that we begin designing cities with those things in mind. And such technologies seem to very compatible with Tokyo. A problem-solving method I often take is to visualize the hidden wants of people. 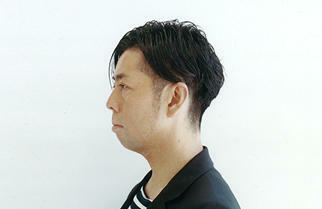 For example, I talked earlier about the people the area of Roppongi belongs to. To come up with solutions for Roppongi, you need to visualize the inner desires of the people. Why do they want to visit Roppongi? Why do they want to live in Roppongi? There are the desires of the foreigners who come to Japan and there are the desires of the residents. By studying and analyzing all that they are looking for, you will be able to see what their essential wants are. Perhaps it would be interesting to do that at Roppongi Future Talks. Something I would like to do is to use technology to shed light on the appealing aspects of Japan that are not well known, and to incorporate them into experiences for people. I'd like to create a new platform so that foreigners will become fonder than ever of Japan and would want to come again and again. I feel that Japan and Tokyo have a lot of potential lying under the surface that is not being realized. 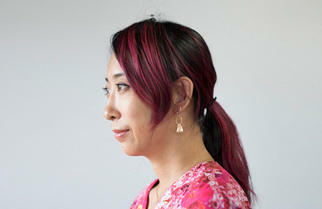 For example, many Japanese look away when they see a foreigner nearby. I'm sure they wouldn't do that if all the foreigners who came to Japan could speak Japanese. People are setting up barriers thinking, "I can't communicate well, so please don't talk to me." There seems to be many of these barriers now in Japan and Tokyo. Technology can bring down those barriers and make things better - leading to things that were not possible before. For instance, people might become emboldened to talk to foreigners in the street and help them, and they might become friends and go drinking together. I'd like to take up the challenge of creating something that would change the behavior of people. When foreigners start coming frequently to Japan and go through many experiences, they will inevitably have more interactions with the Japanese people. It's a trend we should cultivate and to do that, it's important to recall what it was like when we ourselves went abroad and how we felt. On a trip to a foreign country, our feelings are mostly based on our encounters with people. When you haven't gone abroad for a long time, it's easy to forget what it feels like, so I often try to remember and see things from the perspective of the traveler. Being a game creator, I've seen how people in different parts of the world - Asia, North America, Europe - respond to the games. Video games have been played for many years all over the world and there are similarities and differences among the players. For example, the Japanese have a preference for role-playing games - games with characters and games that tell a story. Europeans and Americans on the whole, prefer experiences that have reality. The way people travel is also different according to where they come from. Since experiences are important for Europeans and Americans, they tend to seek serendipity and are driven by curiosity. I've been surprised by people who suddenly said they were headed to Yakushima even though they didn't seem to have the proper gear. I think that in the future, virtual reality (VR) and augmented reality (AR) will make possible both the "unreal" synesthesia experience like that provided by Rez Infinite and the "super real" experience of the kind that transcends space. There will be creations of illusionary, entertaining and moving experiences as well as experiences to fulfill people's desires that cannot be realized in real life such as moving across the streets of Paris in drones or looking into a Hawaiian volcano from above. I think we humans need to have two types of experiences - the real and the unreal. A new version of Rez, the rhythm-action music-shooting game released in 2001 for Dreamcast and PlayStation 2 consoles, which has been adapted for the PlayStation VR headset. It was presented at the "PlayStation Experience 2015" event held December 2015 in San Francisco and is scheduled to be released in 2016. When we have new experiences, we see things in a new light. Our senses are sharpened, we are given the opportunity to develop all sorts of skills, and we feel happy. Some people worry about getting addicted to new experiences. Some are critical of the negative effects, but that kind of criticism has always arisen each time a new form of media has appeared. It was the case when books, movies and television first appeared. Of course, everything has its positive and negative aspects. It's up to us to find the right balance and the creator's role is to present new perspectives. I believe that experiences make us grow and can transform us. What interests me is not just providing information and knowledge but incorporating them into experiences. In Tokyo, there are plenty of real and unreal experiences. The sea and the hills and the hot springs are accessible within an hour or so. When you live here, you tend to forget it, but this is a city where you can enjoy city life and nature, new technologies and traditional culture. And there is a wide variety of excellent food. It's a wonderful place when seen through the eyes of foreigners. I myself find Tokyo so nice that I can't stay away. Designs video games, music, images, and applications based on synesthesia (multi-sensory experience.) Released video game "Rez" in 2001, and in 2004, released the puzzle video game "Lumines" that gives the player the sensation of playing music. In 2010, released "Child of Eden", a multi-sensory rhythm action game where the player uses the Kinect like a conductor. In 2016, released "Rez Infinite", an expanded version of "Rez". Aside from designing cutting-edge games, Mizuguchi writes lyrics and makes videos as the key member of Genki Rockets, an audio-visual unit. For "Live Earth" in 2007 - an event calling for action against global warming and which comprised of concerts worldwide - Mizuguchi created the hologram image of former U.S. Vice President Al Gore for the opening of the Tokyo concert. Received a Special Achievement Award in 2002 at the Japan Media Arts Festival and an Honorary Mention at 2002 Prix Ars Electronica's interactive art division in recognition of Rez. In 2006, was chosen as one of the 50 most innovative producers in digital entertainment in the "Digital 50" list made by the Producers' Guild of America (PGA) and the Hollywood Reporter. 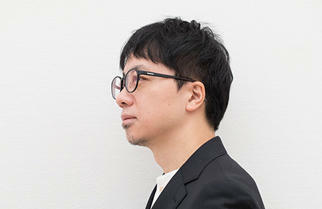 Served as head of the jury for the Japan Media Arts Festival's entertainment division in 2007, juror for the JAPAN PRIZE in 2009, and juror for the Agency for Cultural Affairs' Fine Arts Award in 2010.